As many of you will already know, I have sold my rally car. Trying to maintain, use and run two rally cars in the family is becoming to costly in terms of both money and time. So the sad decision has been taken to sell the car, and she has gone to a fellow endurance rally driver, and the car will continue to be used for lots of events. So this will be the final post of this blog, i will be starting a new blog for the next venture in rallying which is running the Micra which i will be sharing with my wife Suze, and we will be sharing the driving & navving duties on stage events. There will be a new blog for what i have coined '#ProjectMicra' and this will follow the cars development from an endurance/stage spec car to a much higher Grp A stage spec car. You can follow all the action at www.mattendean.co.uk. The new blog will be live soon, hopefully before my first stage rally driving the Micra on the Carfax stages. Last weekend was the 7Oaks MC Autosolo at North Weald with new organisers running the event, the tests looked different and harder at first. However once out on to them they followed well and the day ran very smoothly, even if the rain was incredibly heavy at times. This resulted in me finising second overall and taking first in class by quite a big margin. Throughout the day it was good to be battling with other top crews trading times throughout the day. On-board videos from the day will follow soon. It turned out to be a mixed day at Chelmsford motor club's gymkhana at MoD Woodbridge. It was good to be back out at Woodbridge and the test were well designed, especially the long final test. However i ruined a good result (10th overall & 2nd in class) by going the wrong side of just one cone. This dropped me to 18th overall & 4th in class, but the rules are the same for everyone, and it was my fault..... Still it was a good fun day, and I had good fun navving for Suze who double drove the Rover rally car, Suze enjoyed the fact that the rally car now hads a very effective handbrake, so we spent a lot of time going sideways! Next Sunday is the 7Oaks autosolo at North Weald airfield, again the Rover rally car is being double driven. The begining of July is shaping up to be busy for events, as we are entered to double drive the Rover ally car in both Chelmsford MC's Gymkhana at MoD Woodbridge and Sevenoaks MC's Autosolo at North Weald airfield. 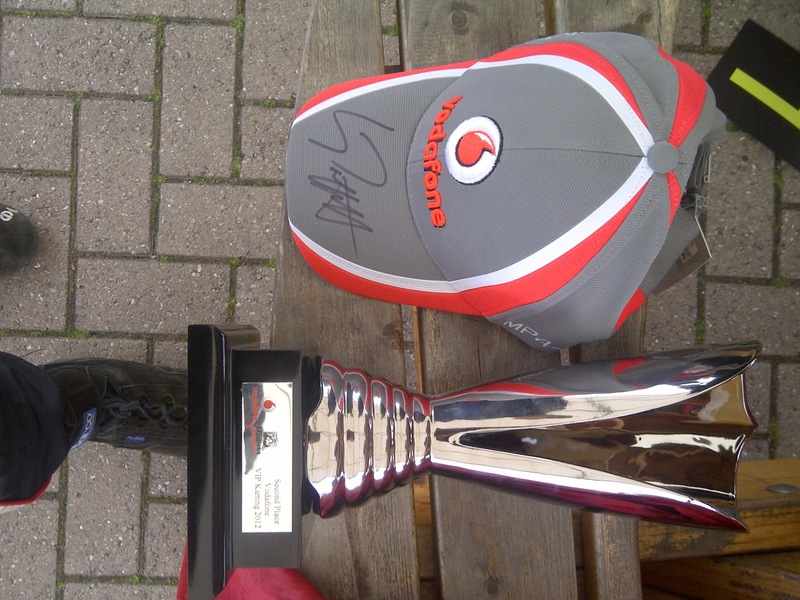 Last weekend was rather hectic, with a 2 hour endurance kart race, which was through a Vodafone VIP event competition. 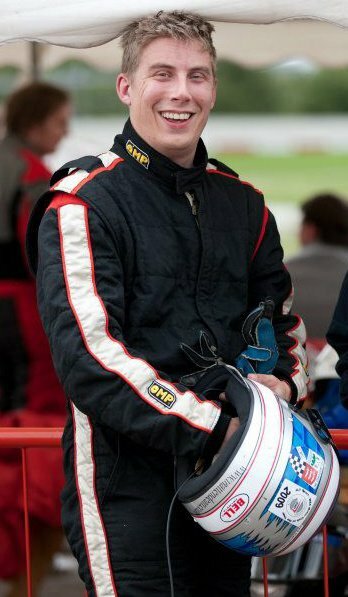 We started the team event (4 drivers, ended up being 3 for the race) on pole, with my lap time being the fastest. This meant that I started the race following the pace kart waiting for the green flag to drop, which was waved by Gary Paffett who is the McLaren F1 test driver who was present to do PR duties. By the end of the event we were 4 laps down from the winners in 2nd place overall, and although we lost a lap or two from a snapped throttle cable, i suspect we wouldn't have been able to match the pace of the winning team who were very consistent throughout the race.